Sea levels are rising rapidly as global warming melts polar ice caps. By one estimate, if nothing is done, between 0.5% and 5% of the world’s population will be affected by flooding each year from 2100. That would mean millions of people displaced. The cheapest and most effective way to manage climate change - and sea level rise - is to reduce greenhouse gas emissions. This has to be done quickly to keep warming well below well below 2°C. But, to buy some time, four climate scientists have an alternative. In a paper for the journal Nature they argue that disastrous sea level rise could be delayed if we stop Antarctica and Greenland’s main glaciers from melting. And they have come up with proposals for massive geoengineering projects that they say could stop much of Antarctica and Greenland’s grounded ice from reaching the sea for centuries. This, they say, would give the world enough time to get to grips with global warming. The scientists’ first suggestion concerns Jakobshavn – Greenland’s biggest and fastest-moving glacier and the largest contributor to sea-level rise of any glacier in the Northern Hemisphere. Ice loss from Jakobshavn explains around 4% of 20th century sea-level rise. Warmer currents from the Atlantic are melting the glacier’s base, so the scientists propose building a wall up to 100m tall in front to prevent the warm water from reaching it. The wall would be made up of gravel and sand piled up on the sea bed to create an artificial embankment, and would be clad in concrete to stop erosion. This won't help with the problem of warm air reaching the top of the glacier, but sea melting happens much quicker and less predictably. As glaciers slip into the sea they create enormous ice shelves. 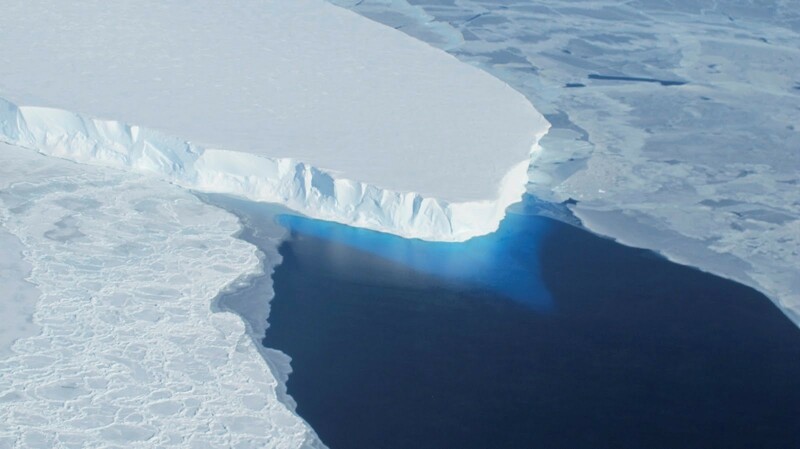 Warmer waters cause these ice shelves to become thinner, and in some cases break off completely, exposing the glacier and speeding up sea level rise. 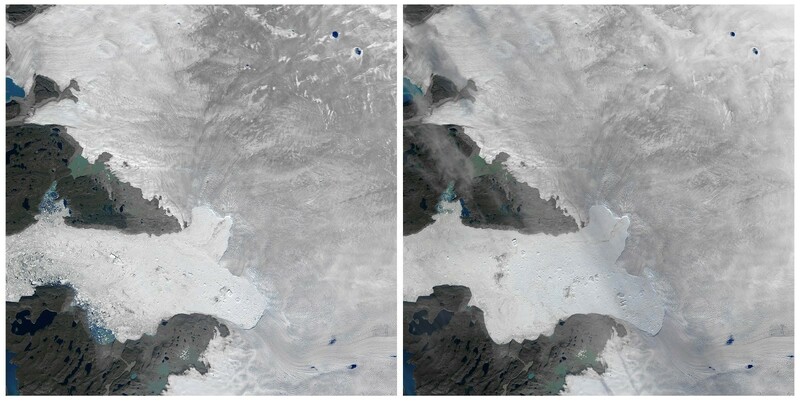 There are two glaciers in particular, Pine Island and Thwaites, in West Antarctica, that are concerning the scientists. As these melt they will become the largest sources of sea-level rise over the next two centuries. 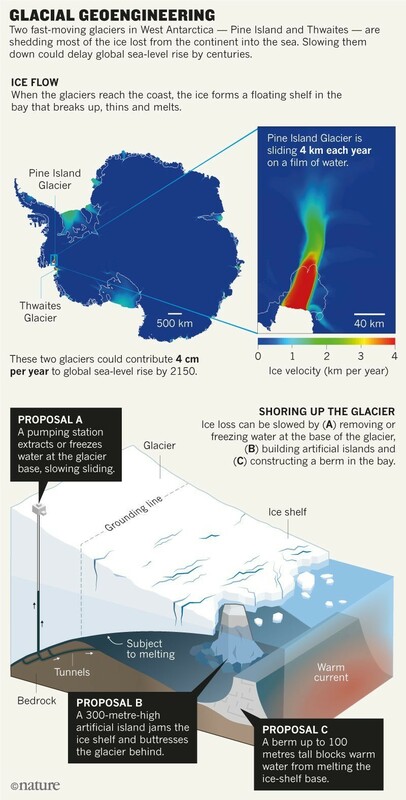 The scientists propose shoring up ice shelves in front of the two glaciers by constructing artificial islands, extended from outcrops or built on the sea floor. As a glacier slides down rock, it generates heat. This heat then creates fast-flowing streams that pour into the sea, which, in turn, makes the glacier move faster. In Antarctica these streams can be quite shallow, and the scientists propose either pumping out the water or freezing it by circulating cooled water beneath. This would slow the progress of the glacier. The scientists admit that much work remains to be done to figure out if these projects are even feasible. “The glaciers concerned need extensive study, including mapping the geomorphology of their beds and the rates at which they are melting,” they say. In addition, working in these frozen areas of the world would be incredibly difficult and hazardous. And expensive. The costs of these projects would run into billions of dollars. But the scientists argue that enormous feats of civil engineering have been performed already. For example, Hong Kong’s international airport added 1% to the city’s land area and cost more than $20 billion. They also say that the cost of shoring up the defences of coastal cities will cost billions of dollars, and that this money could be directed instead at the source of the flooding. 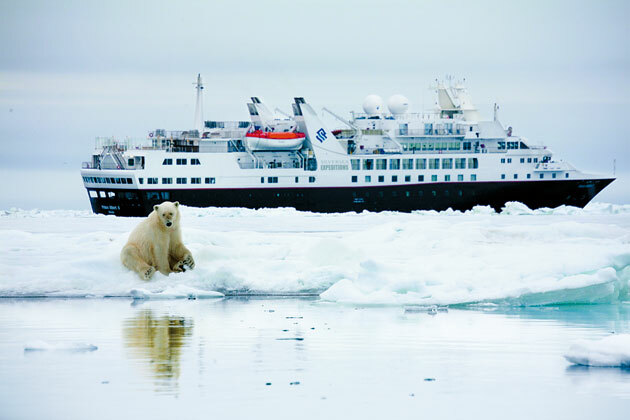 But there would be possible unintended consequences for the local population, fisheries and tourism industries. And there is also the issue of who pays for the work, and how an international agreement can be reached in an era of political volatility. But perhaps the biggest risk, the authors argue, is doing nothing. “We think that geoengineering of glaciers could delay much of Greenland and Antarctica’s grounded ice from reaching the sea for centuries, buying time to address global warming,” they say.